The Miss Malaika Ghana Beauty Pageant gets interesting by the passing week as delegates are introduced to new tasks and experiences in every episode. Now 2 of the weekly tasks have been executed, the ladies are now preparing seriously for the next task ahead- The Cooking competition. Previous task that delegates have undergone are the cultural episode which entailed the Ladies displaying their various cultural backgrounds according to their dressing, foods, festivals, celebrations and many more. Their next task was the charity task which involved the selection of various societal issues that needed urgent attention or solution. The delegates again divided into three (3) groups who tackled different problems. 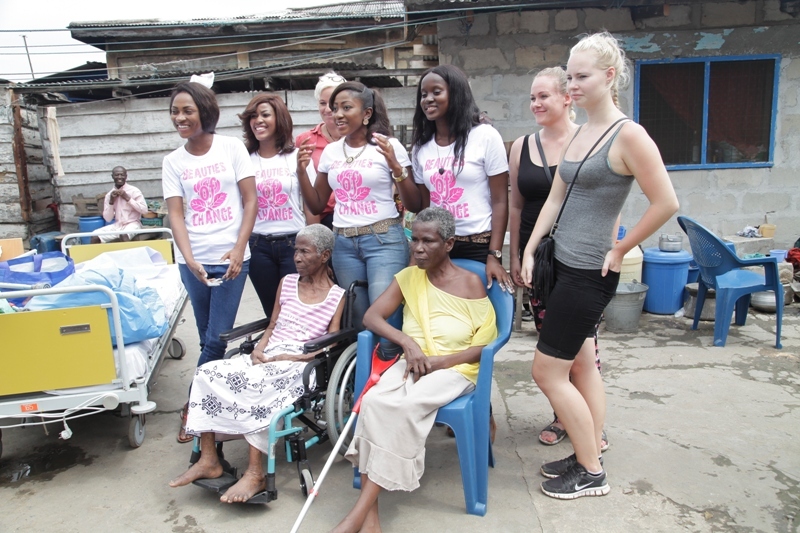 The first group of delegates tackled ‘The woes of the aged’, where three elderly women who had been abandoned in an inadequate infrastructure were provided for and given treatment. This Sunday however, the beautiful delegates will undertake the cooking task, where they will be in three (3) groups to visit some selected food joints locally known as ‘chop bars’ to help them cook unearth their cooking skills. The fun part of this episode is that large quantities of foods will be cooked by the delegates through different traditional methods. The episode air this Sunday on Gh One TV at 8 PM with eviction episodes on Tuesdays at 8:30 PM with special support from RANA Motors, with support from Royco shrimp cube Ethiopian airline, Crown paints, lifestyle gallery, Abbeam Institute of Technology. 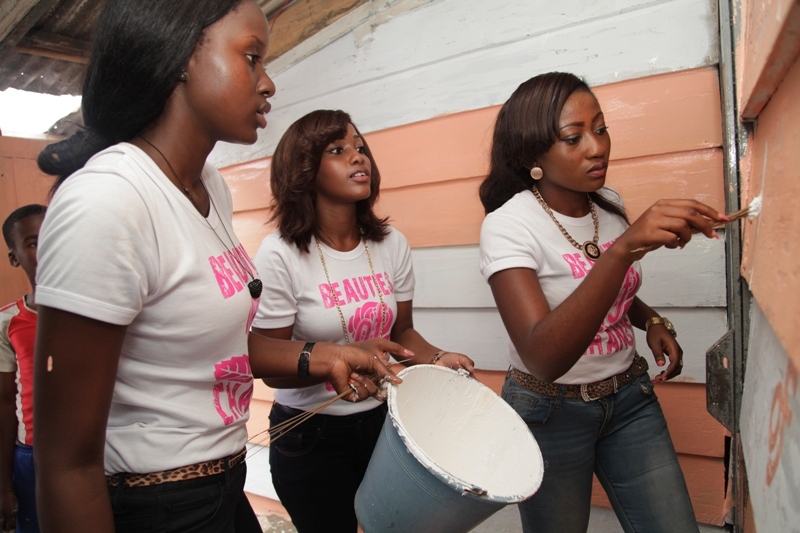 2014 Miss Malaika ladies out on Charity Task 0 out of 5 based on 0 ratings. 0 user reviews.